We are a biogas facility located near Callan just off exit 10 on the M9 Motorway in County Kilkenny. 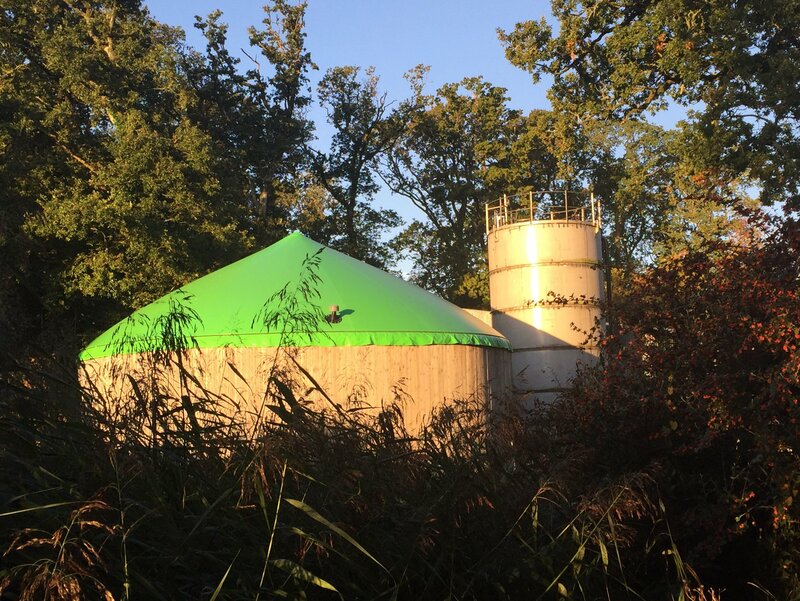 BEOFS is a fully liscened Aenerobic Digester biogas facility that is permitted to take in a range of waste materials. All materials accepted into the site are processed with the anaerobic digesters to produce Biogas and Organic Fertiliser. We are authorised to issue materials recovery certificates to all our waste producer/suppliers. These certify that their waste has not only been processed in a legitimate fully compliant manner but in a manner that is 100% environmentally friendly, supporting social good and meeting the objectives of Origin Green. (See Waste recovery certificate that can be supplied upon request and can become part of your waste management and Origin Green policy). The BEOFS facility is unique in that all waste is fully transformed to supply heat and electrical power to the neighboring Camphill Ballytobin Community inclusive village (as seen on national television link here). BEOFS also supplies organic fertliser to its neighbouring award winning dairy farmer Mr. Billy Heffernan. Click here for the story of how BEOFS came about.